A prehistoric cult* complex which is about 7,500 years old, i.e. 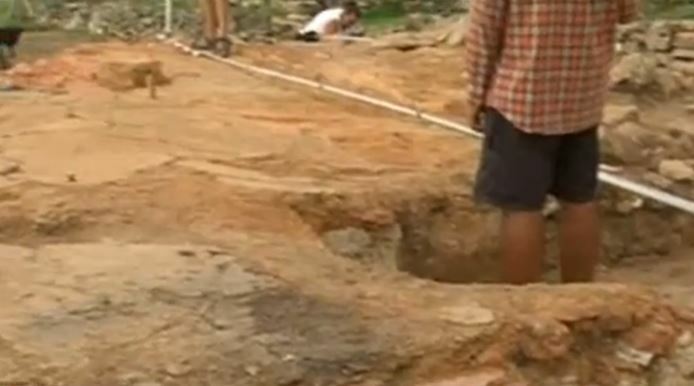 dating to the Chalcolithic, as well as what has been described as “possibly Prehistoric Europe’s largest stone building”, have been discovered by the archaeologists who have resumed the excavations of the Paleolithic and Neolithic settlement on the Big Island in the Durankulak Lake in Bulgaria’s northeastern-most corner. The excavations of the Paleolithic and Neolithic settlement on the Big Island in Bulgaria’s Durankulak Lake first started in 1970s, with the discovered Paleolithic finds dating back to around 10,000 BC; and a Neolithic settlement dating back to between 5500-5400 BC and 5100-5000 BC. The settlement, which created what is said to be Europe’s first stone city, belongs to Blatnitsa, the earliest phase of Europe’s Late Neolithic Hamangia-Durankulak Culture (whose remains are found in today’s Black Sea regions of Bulgaria and Romania). 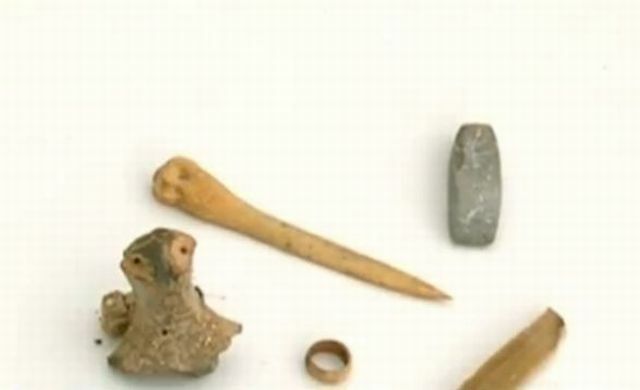 Some of the finds date back to about 10,000 BC, the Paleolithic Age, and there are also numerous finds from all the later periods in Prehistory, and from the Antiquity and the Middle Ages. The Big Island in the Durankulak Lake, a 3.4 square km lagoon, is known as the Lake City or the “European Troy”. It features prehistoric remains from what is said to be the first sedentary agricultural culture in Europe, which created Europe’s first stone architecture. The so called Big Island is today a peninsula with an area of 19 decares (app. 4.7 acres, or 0.019 square km). 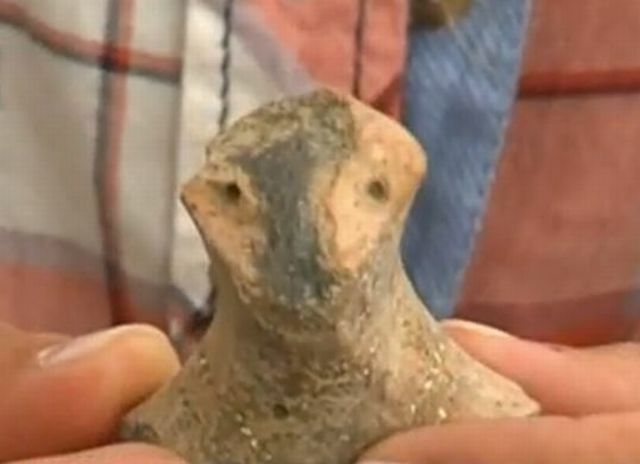 The 2015 summer excavations of the prehistoric settlement in Durankulak are the first in 11 years, and have revealed more of the secrets of the stone city on the lake island located right next to the Black Sea coast, reports the Bulgarian National Television. In the past few days, the archaeologists working in Durankulak have unearthed “possibly the largest stone building known to date in Europe” which contains a kiln that was in use for about 80 years. Another structure nearby contains various cult artifacts. 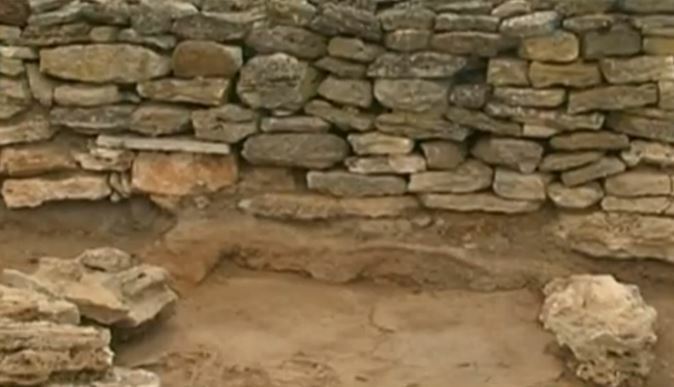 The newly discovered stone building, which dates back to the Chalcolithic (Aeneolithic, or Copper Age), has been found to have collapsed because of an earthquake. “The challenge we are now facing is to reveal the sequence of the layers, or the stages of life, in one of the most monumental buildings ever in prehistoric Europe,” says Petar Zidarov, an archaeologist from New Bulgarian University in Sofia. He makes it clear that the stone building in question had an area of over 200 square meters, and if it gets proven that it had two floors, it would have a combined built-up area of over 400 square meters. “The people who lived in this place were not just excellent builders but they were also among the first people in the world who started to smelt metals such as native copper and native gold, to forge jewels out of them, and to trade with them as far as the Mediterranean coast,” Zidarov adds. The 2015 excavations of the prehistoric settlement on the Big Island in the Durankulak Lake are a joint project of the National Institute and Museum of Archaeology of the Bulgarian Academy of Sciences, New Bulgarian University, and the Varna Museum of Archaeology. Unfortunately, renowned Bulgarian archaeologist Henrieta Todorova who studied the prehistoric culture in Durankulak for about 40 years has recently passed away. The archaeological excavations are funded jointly by the Bulgarian Ministry of Culture and Shabla Municipality. Shabla Municipality has recently implemented a project for creating Bulgaria’s first open-air Paleolithic museum at the site of the prehistoric settlement on the Big Island in the Durankulak Lake, near the town of Durankulak. The Paleolithic and Neolithic settlement on the Big Island in the Durankulak Lake, a lagoon with an area of 3.4 square km on Bulgaria’s Black Sea Northern Black Sea coast near the town of Durankulak, Shabla Municipality, is known as the Lake City or the “European Troy”. *In this article, as in all other articles of ArchaeologyinBulgaria.com, the term “cult” is used in its original and basic meaning which is similar to the meaning of “religion”, usually referring to religious cults in prehistoric and ancient times, as exemplified by the below definition derived from “Oxford Dictionaries”. This meaning should not be confused with other meanings of the word “cult”, and should not be confused for an abbreviation of the term “culture”. I have been appreciating your archaeology articles. Thank you very much. It is very distracting however to see the the constant switches between bold, italic, and regular text as well between text colors. It’s puzzling because it really adds nothing to already quite good articles and is rather distracting. Any possibility of this being corrected? Thank you for your comment, your interest in our site, and your kind words! They are all much appreciated! As far as the bold/italic/regular text is concerned, however, we need to stick to this switching for search engine optimization reasons. It does help with that, this is part of how the search engines work for the time being. And it does take up quite a bit of effort but, unfortunately, we can’t afford discontinue it, being a small and new site with limited resources 🙁 We hope this won’t dissuade you from continuing to follow our stories! I have to ask why the word cult is used so often in this article. Is it because there is some small evidence of ancient deity worship? Or is it an error? The meaning of “cult” in the sense of a “religion”, usually a prehistoric or ancient one, does exist in the English language. So the word “cult” does have more than one meaning, it is not limited just to being a (often derogatory) term for a modern-day group of people with exclusive or odd beliefs. There is no way “cult” would be used as an abbreviation for “culture”, at least not in our articles. We are aware that in modern-day Enlgish the first association of “cult” that comes to mind has to do with things like “scientology cult”. But the meaning “cult = religion in prehistoric and ancient times” does stand, and we believe it is more suitable in that context. I hope this answers your question. We have added an endnote in the article to make sure this confusion doesn’t arise anymore.